You want your wedding day to be a beautiful, one-of-a-kind, memorable event, but you don’t have an unlimited budget. Here are some wedding ideas that will help you keep costs under control. Even one or two of them could save you hundreds of dollars! Flowers: A growing trend at larger flower stores and farmers markets is to offer DIY workshops where you can bring friends and create your own bouquets, corsages, boutonnieres or floral decorations a few days before the wedding. We’ve also heard of people offering to do it as a gift to the wedding couple. 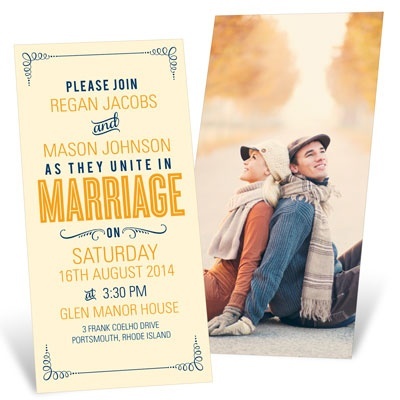 Invitations: Wedding invitations can run from ultra high-end to DIY. If you’re considering a rustic or more casual theme, this might be a good place to save money. 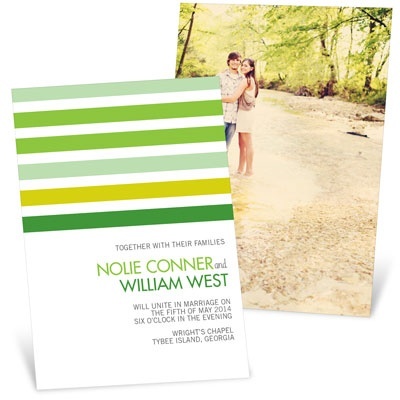 Pear Tree offers beautiful two-sided wedding invitations for less than $1 each! 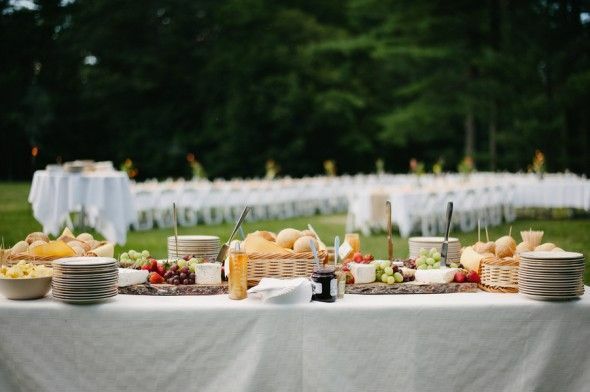 Friday/Sunday wedding: It’s no secret that wedding venues and caterers charge more for the coveted Saturday wedding slots. Move your big day to a Friday or Sunday and you could save a lot. Food: There are lots of ways to save on food, from making it yourself to choosing an appetizer buffet vs. a sit-down meal. Beer and wine instead of a full bar is also a commonly selected option. Guest list: The size of your guest list is the biggest single factor in the cost of your wedding. By trimming your list to close friends and family you can save a lot and still have a beautiful intimate wedding. You can always have a bigger party later. Split it up: Have a small, intimate wedding and a celebration with friends after you get back from your honeymoon. That way you won’t incur all the costs in one day, and your reception can be more informal. 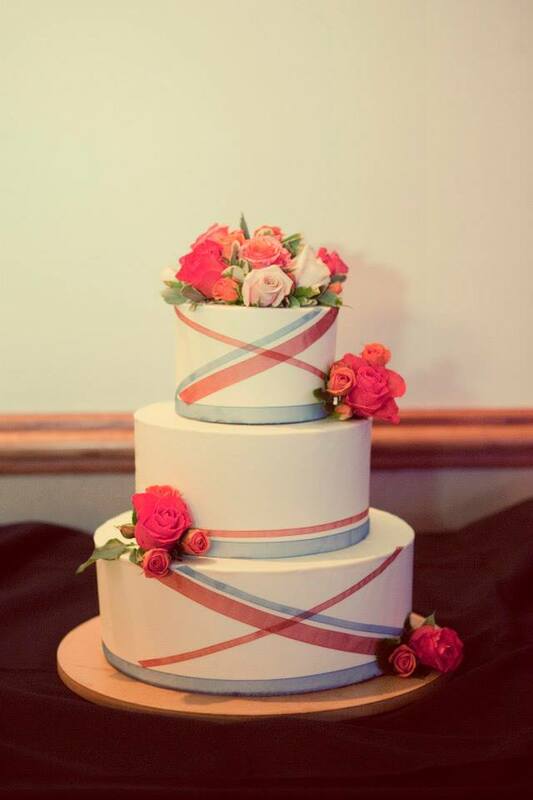 Cake: A wedding cake is a specialty item that requires expertise to make. Don’t count on a friend to do this unless they have experience. The best way to save on a cake is to have a smaller, decorative one to cut at the reception, and a sheet cake to serve. Dress: Wedding dresses come in all sizes and budgets. If you can find a dress on sale, or even a used one that can be altered, you can save a lot. It’s up to you. Some brides would rather save on the dress and have more to spend on the party. For others the dress comes first. Entertainment: Are you considering a dance with a live band? A DJ? A string quartet? Prices vary widely, and a good DJ can be as much fun as a live band. Honeymoon: Do you really need to go out of the country? If so, watch for travel deals and shop early for airline tickets. If not, domestic travel is considerably cheaper, and you won’t need the added expense of passports. 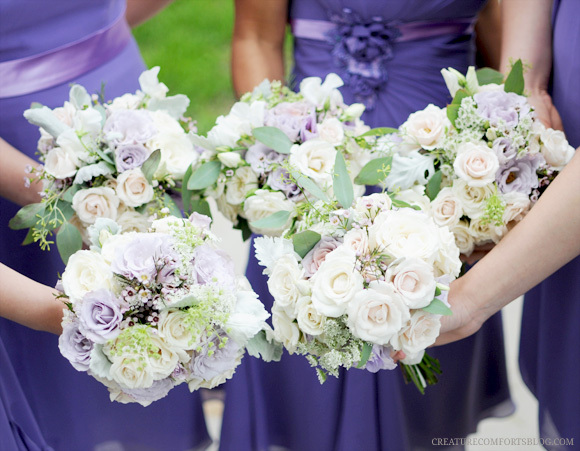 We hope these wedding ideas will help you stay on budget when planning your wedding. Keep reading our blog for more wedding ideas, and visit Pear Tree for everything from personalized napkins and favor tags to wedding thank you cards!